Disclaimer: This is an alpha map! 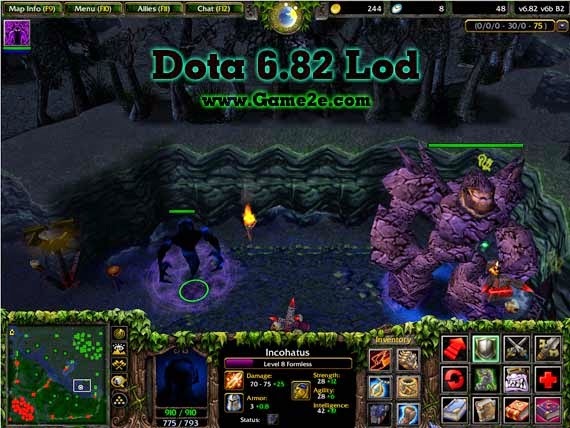 Legends of DotA, or in short, LoD, is a DotA modification. It allows you to pick and mix skillsfrom the original DotA map as you like. You can pick almost every combination you can think of, there are almost no limits - you can create new heroes within a few clicks and play with them! Ever imagined playing a hero with over 900 range? Just pick Sniper's Take Aim and Lanaya's Psi Blades and you're good to go! There are countless possibilities! To remove the fact that hotkeys overlay, we recommend using Auct Hotkeys Tool v2.8d (AHT v2.8d). It allows you to have more than 1 spell on the same hotkey while not forcingyou to click spells.